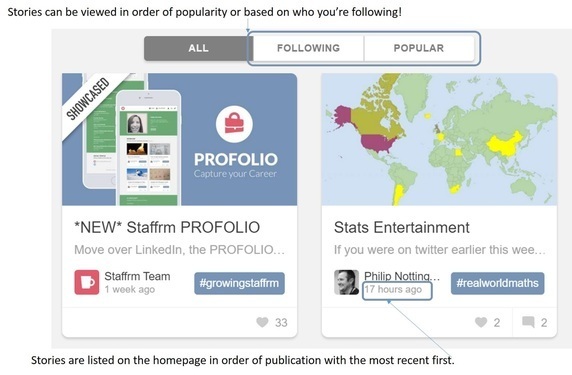 Challenge 17: Comment on and recommend a Staffrm story. 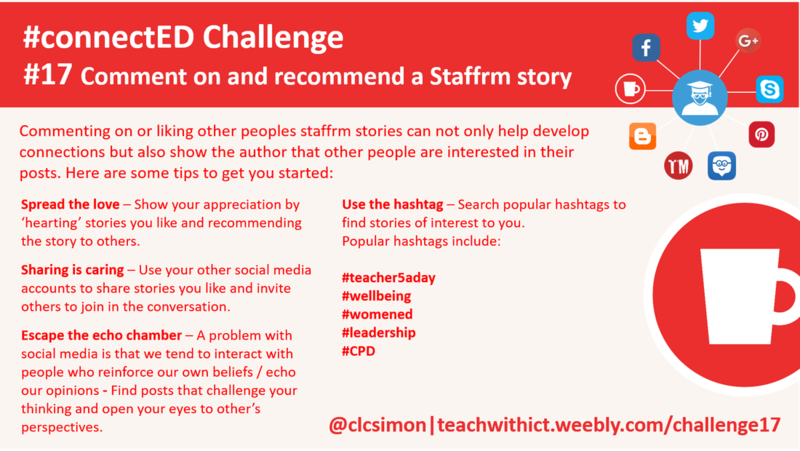 Commenting on other peoples stories can help develop connections with other educators and encourage them to follow you on the Staffrm. 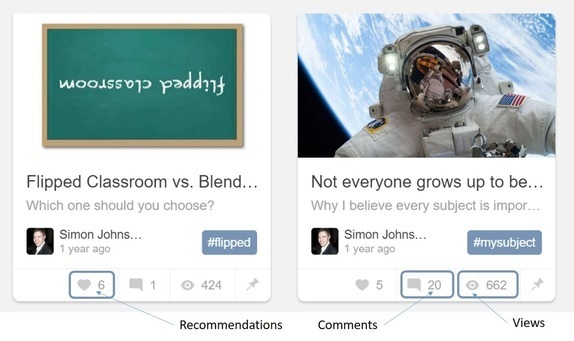 You can check the popularity of a story by viewing the number of recommendations or comments. Once you've found a story that you like, you can let the author know by commenting on or recommending their story. Spread the love – Show your appreciation by ‘hearting’ stories you like and recommending the story to others. Sharing is caring – Use your other social media accounts to share stories you like and invite others to join in the conversation. Escape the echo chamber – A problem with social media is that we tend to interact with people who reinforce our own beliefs / echo our opinions - Find posts that challenge your thinking and open your eyes to other’s perspectives.